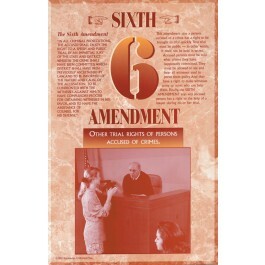 This educational poster includes the text of the Sixth Amendment, a clear explanation of the amendment, and a very brief summary of the rights it protects. 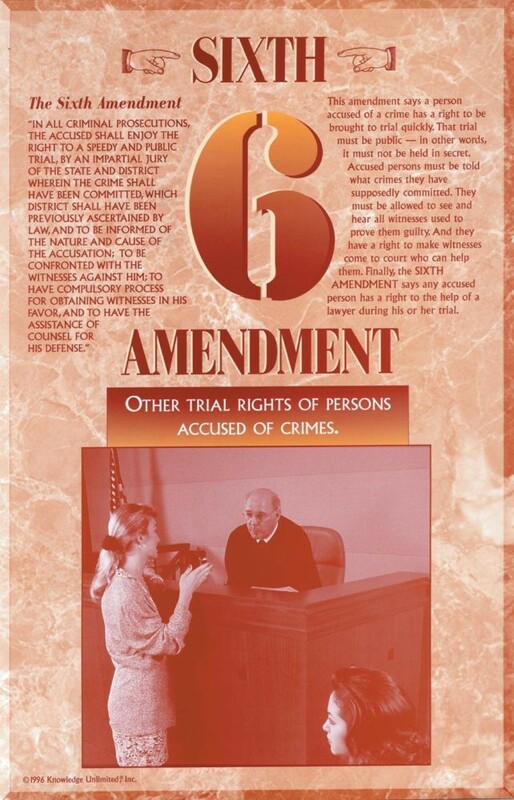 In addition to guaranteeing accused persons the right to a speedy and public trial, the Sixth Amendment offers other rights to ensure a fair trial. This poster is a great way to educate students about the important rights protected by the Sixth Amendment, and how our forefathers understood that a real democracy is not possible without protecting the rights of the accused.